Facebook has released an update to its Messenger app for both iOS and Android which now allows you to send and receive voice messages. The voice messages can be up to one minute long and works similar to the video recording option in its Poke app. There are a few apps that offer similar “Push-To-Talk” technology, such as Voxer and Tikl, etc. With Facebook’s huge following, those 3rd party apps might get a run for their money now. 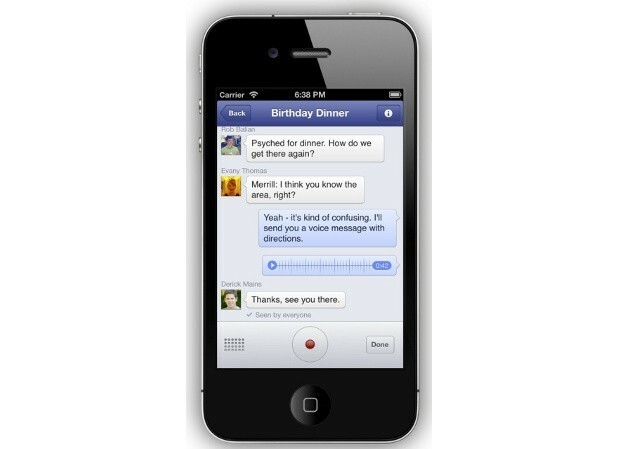 For our neighbors to the north, Facebook is also testing VOIP capabilities in Canada. This allows you to place calls through the Messenger app instead of just recording a voice memo. This feature is also based on open-source technology instead of its partnership with Microsoft’s Skype protocol.